4 Extra Debut. Kittiwakes and seals - Chris Watson captures evocative sounds at the 14th-century ruins of Northumberland's Dunstanburgh Castle. 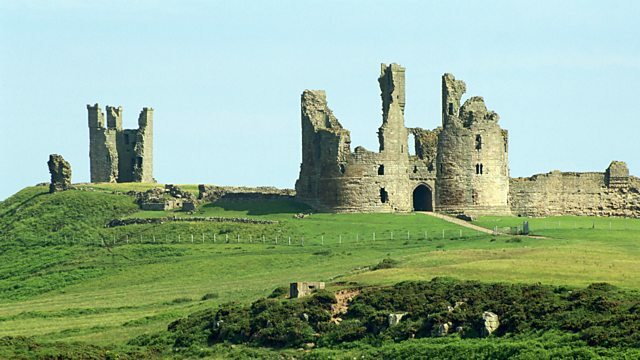 Wildlife sound recordist Chris Watson's evocative and powerful sound portrait of Dunstanburgh Castle in Northumberland. Built in the 14th century as a piece of political theatre, the magnificent ruins have been reclaimed by nature. Swallows and rock doves nest in the gatehouse, kittiwakes and fulmars guard the sea walls, seals patrol the beaches and skylarks man the approach. The sounds of the sea, the wind and the waves are ever present.